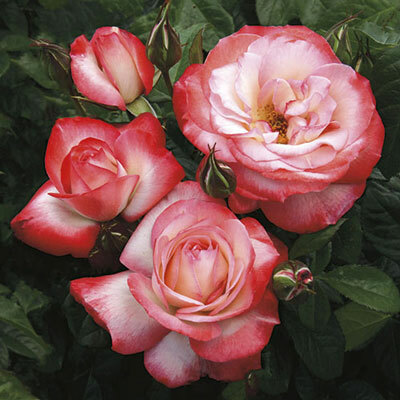 As delectable as your favorite childhood creamcicle treat, elegant long buds of cream begin to 'frost' with blushes of corally orange as they spiral open. But this one doesn't melt in your hands, it holds on to the plant for a great display of color and flower power...big clusters held high for all to see. Very good disease resistance means her 'wrapper' of green stays handsome in the garden for a full season of scrumptiousness. Lip smackingly lovely.